Each and every hand drawn and lettered custom ketubah is a masterpiece. You can choose from one of our classic judaica originals developed over years of pleasing customers, or Chaim will work with your taste and specifications — and his professional opinion to guide you. 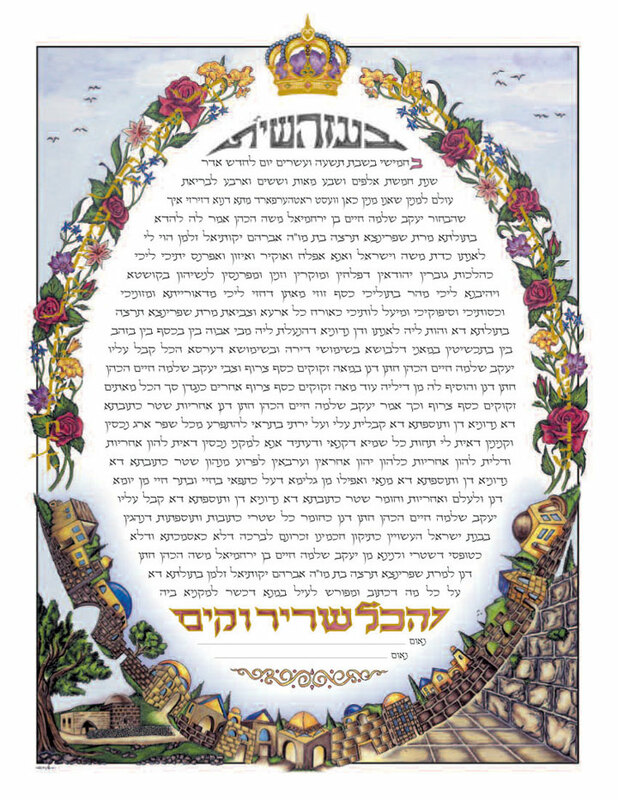 You can be assured of the most beautiful lettering, quality art, beautiful color and illumination... all in all, a document to be cherished under the chuppah and appreciated for years to come. A Ketubah can also be a beautiful anniversary gift to a spouse, parents, even grandparents. Chaim also has a line of lithographed ketubahs for a more affordable, yet beautiful option.